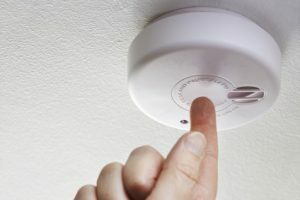 Ontario law requires that working smoke alarms be located on every storey of the home and outside all sleeping areas. Your safety is your responsibility. Only working smoke alarms save lives. In fact, smoke alarms can increase your chances of surviving a fire by up to 50%! Install in the proper locations. Change the batteries once a year. Develop and practice a home fire escape plan with everyone in your household. Failure to comply with the Fire Code smoke alarm requirements could result in a ticket for $235 or a fine of up to $50,000 for individuals. If you have sustained severe burns, contact us. Our experienced and skilled lawyers can help you to maximize your compensation for your medical expenses and suffering.